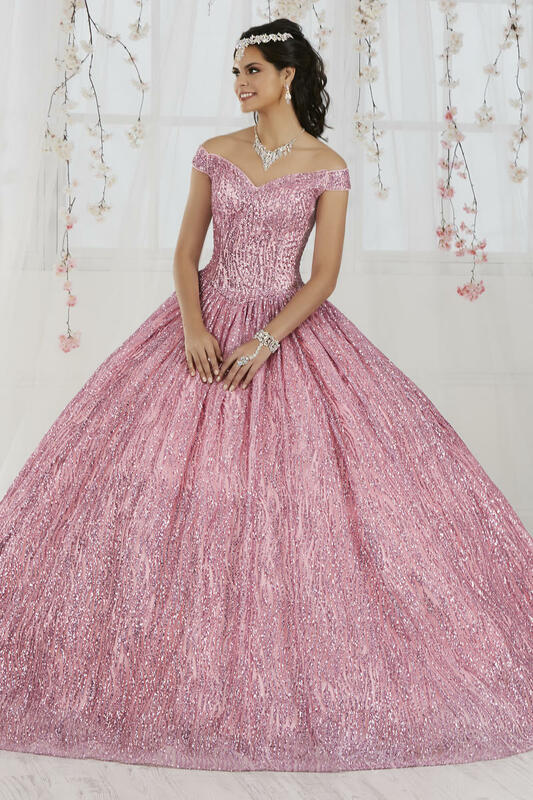 Twinkling sparkles illuminates this gorgeous ball gown! The bodice features a sweetheart neckline, cap sleeves and a princess basque waistline. This look is finished with a corset back.